Montgomery County held a prescription drug drop-off as part of the United States Drug Enforcement Agency’s National Prescription Drug Take Back day for the eighth consecutive year on Oct. 28th. The DEA started the National Prescription Take-Back Day in 2010 to provide a safe disposal space and educate people about prescription drugs. The drop-off locations around Montgomery County had a non-disclosure policy, meaning officials would not ask participants to supply any personal information. They would not collect illicit drugs, needles or syringes. “This is a safe, free and anonymous opportunity to dispose of prescription drugs and is part of a national effort to prevent the increasing problems of prescription drug abuse and theft that continues to occur nationwide,” a Montgomery County press release reported. 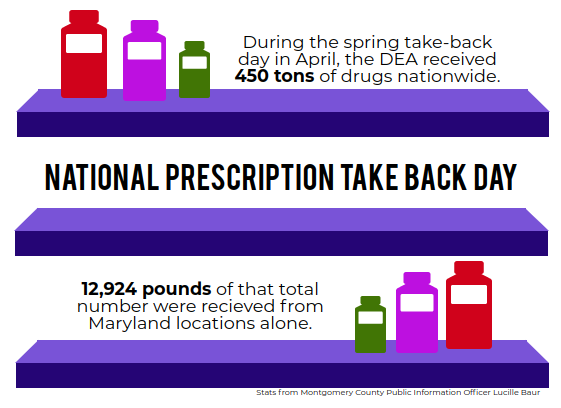 During the spring take-back day in April, the DEA received 450 tons of drugs nationwide, with 12,924 pounds from Maryland locations alone. Montgomery County Public Information Officer Lucille Baur said the event is a great initiative to help get rid of prescription drugs that are no longer used or needed. 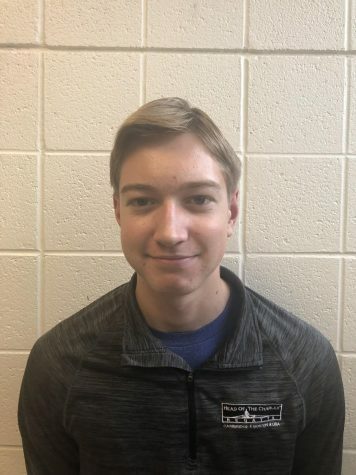 Junior Noah Rivera similarly commended the event. The Montgomery County website also provides this advice to properly dispose of prescription drugs beyond the take-back day here: Montgomery County National Prescription Drug Take Back Day Press Release.